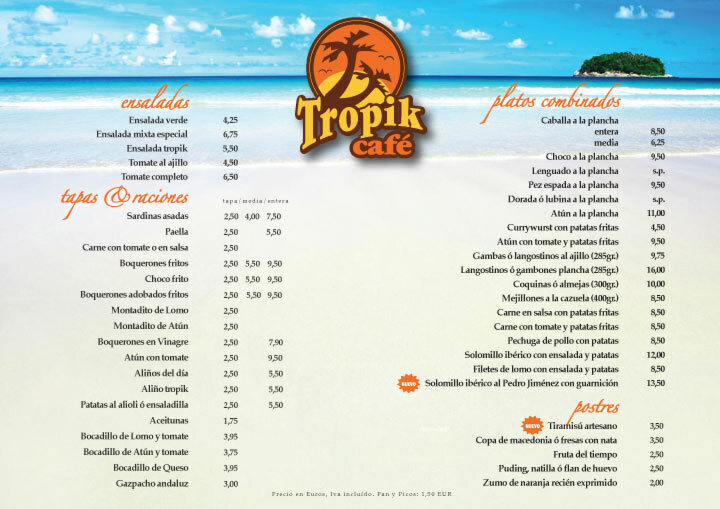 Tropikcafe is a beach bar located in Playa Doñana (Matalascañas), which belongs to the province of Huelva in the south of Spain. 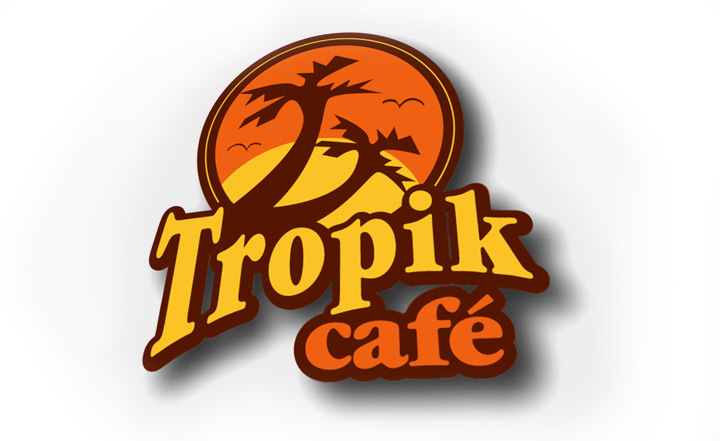 The intention of the logo and naming was to evoke tropical sensations, which has a relation to the famous Caipirinhas offered or the proximity to the African continent. Another reason was to choose a name which is easy to memorize not only spanish but in many other languages. It is the perfect place where tou can hang out with friends or the family, have breakfast, lunch, drinks or even good coffee and pastry in the evening. 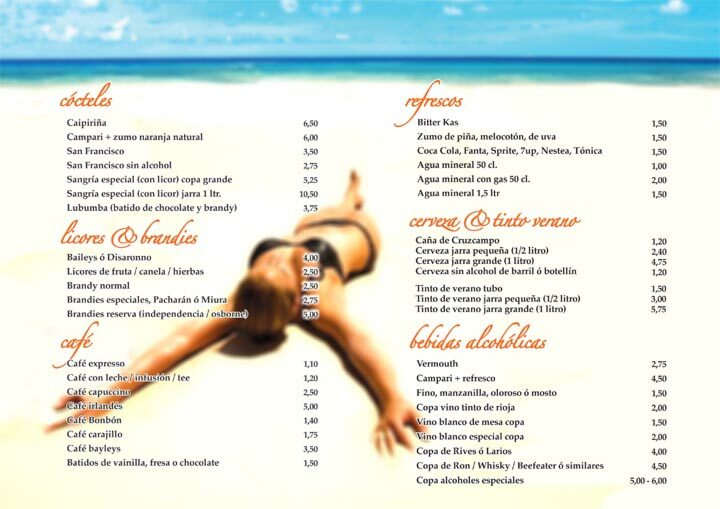 The menu design was kept very simple and affordable. Printed on both sides it shows a tropical beach, not too different from the look and feel of Playa Doñana.